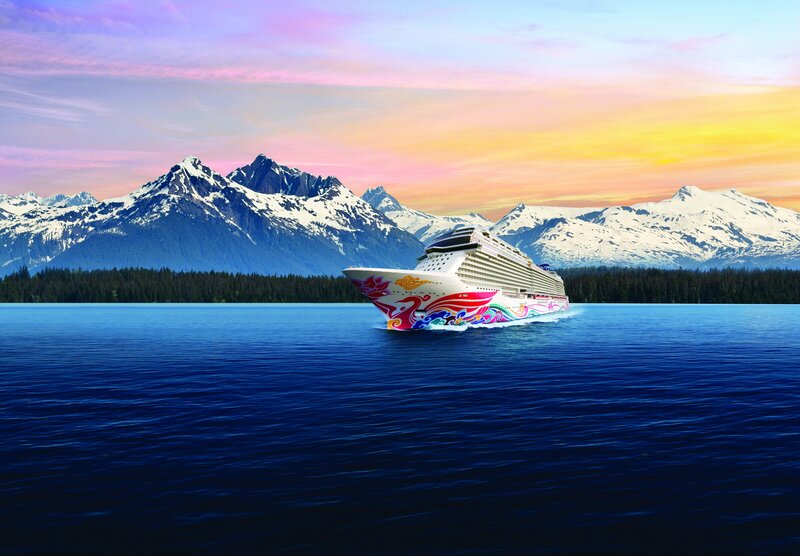 Norwegian Joy is bringing her grandeur to the West Coast by offering year-round sailings to Alaska, the Mexican Riviera, the Pacific Coast, and the Panama Canal starting in April 2019. Here are seven things you didn't know about Norwegian Joy, one of Norwegian’s newest ships. Built in 2017, Norwegian Joy offers decks full of amazing shops, restaurants, bars and entertainment just waiting for you to enjoy. Like her sister ship, Norwegian Bliss, she features many of the same incredible venues including the amazing Observation Lounge. The first ever of its kind at sea, this thrilling two-level race track offers an exhilarating combination of hairpin turns, a covered pit lane, and a viewing platform. The Galaxy Pavilion on board Norwegian Joy features an interactive video wall plus interactive virtual reality experiences to get your thrill on, including a Star Wars cockpit simulator. Plus, like her sister, she also features an outdoor Laser Tag experience. Designed to connect you with the ocean, the quarter-mile Waterfront offers an enticing combination of restaurants, bars, and fresh ocean air. Unique to Norwegian Joy, Concierge Staterooms offer more space - enough to fit your family comfortably. These staterooms with upscale amenities range from Concierge Family Inside Staterooms with two bedrooms and a virtual balcony to Concierge Penthouse and Villa Suites with actual balconies. This exclusive retreat offers pampering amenities, such as a 24-hour certified butler, private pool access, and an incredible two-story observation area, Horizon Lounge, along with a sundeck, a hot tub, and an upscale restaurant. With 25 different dining options from 5 course dining in the Main Dining Rooms to Italian, a steakhouse, Teppanyaki and more, there is something for everyone. So, what are you waiting for? Book your cruise today and get in on the Joy!